We have a new website, thanks to a Ward Grant from Haringey Council, awarded by our local Councillors. We hope it will make it easier for you to see what we are doing, join in or propose your own ideas. Take a look and let us know what you think on info@forhighgate.org. The Forum is a way to get involved with projects, issues and campaigns you care about in Highgate. We are working on many issues – take a look at the website home page to see the range – but here are some key projects we would especially like you to get involved with. Please email us on the address above if you are interested in joining a working team. Of course, traffic and transport are always issues in Highgate and the Forum is working with the Councils and TfL on a number of matters. There are two new blogs on the website – about Accident Black Spots and HGV Weight Limits – do have a look and give us your comments. I hope you made it to some of the exciting Highgate Festival events this summer. 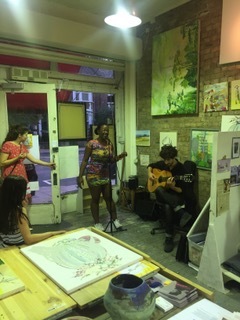 In case you didn’t, there are some short blogs about two of the events – the No Planet B sustainability evening and the Re-imagining Highgate community drawing workshop – on the website. 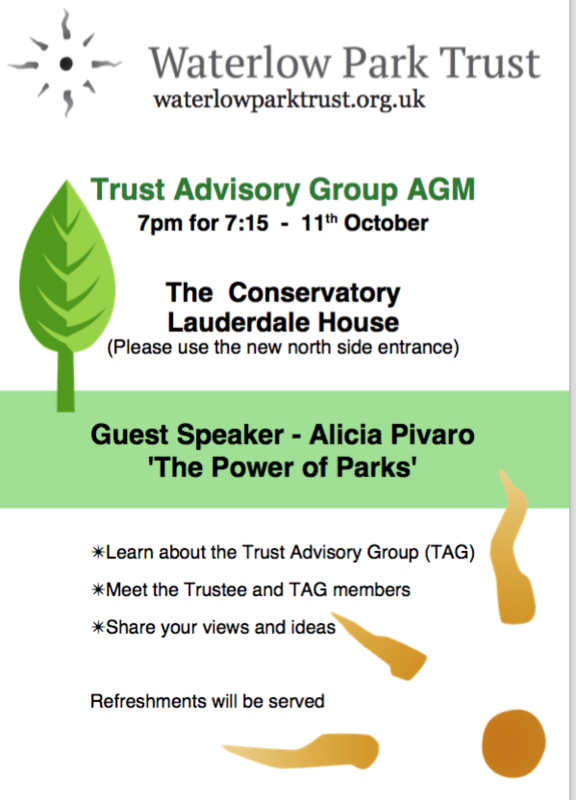 The Waterlow Park Trust Advisory Group AGM will include a talk on the Power of Parks by HNF Chair Alicia Pivaro – see poster on right for more details. And check out the Highgate Calendar for a listing of all the community and cultural events in Highgate. 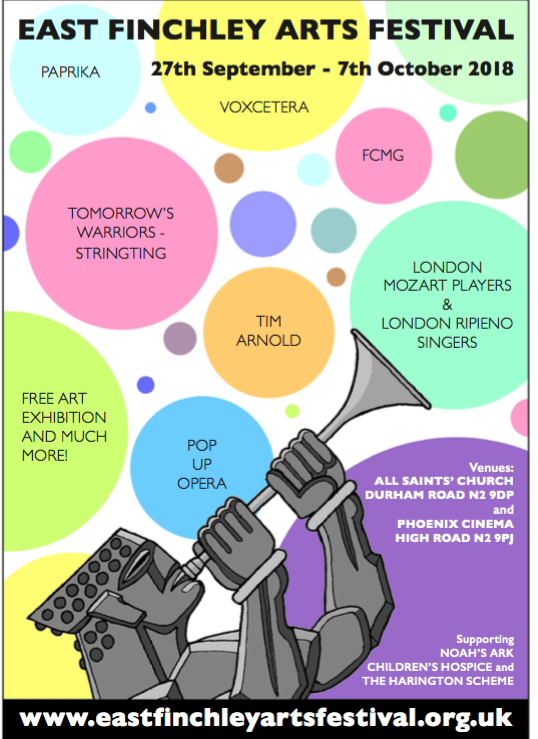 You have just got time to catch some of the events in the East Finchley Arts Festival, where some of the proceeds will go to Highgate”s Harington Scheme. More information here. Copyright © 2016 Highgate Neighbourhood Forum, All rights reserved. United KingdomWant to change how you receive these emails?